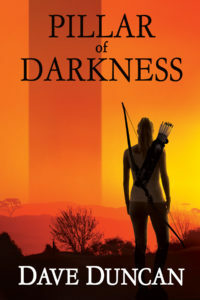 One of Dave Duncan’s last works is a suspenseful science fiction entitled Pillar of Darkness, now published posthumously and releasing January 1, 2019. It’s now available for pre-order in print and ebook through Five Rivers and your favourite online bookseller worldwide. Dave may no longer be with us, but his stories continue. We hope you’ll join with us in this celebration of a remarkable Canadian storyteller. Whichever button I push it takes me to “digital.” Plus if I go back, it adds one to the number of digital copies.